SharePoint 2010 and SharePoint 2013 respond to a basic fact of business life: Organizations excel at creating documents and records, but suffer when it comes to managing content. Data and information often reside throughout the organization, and few, if any, processes govern their management. SharePoint can store every document and record in one central system and even track every version of every document. SharePoint functionality can not only enforce information management policies, but also automate business processes, improving efficiency and timeliness. Many organizations have already discovered the benefits of SharePoint 2010. Some have not. Some recognize they are not taking full advantage of their current SharePoint solution, while others want to add even more functionality. Still others seek to move to SharePoint 2013. 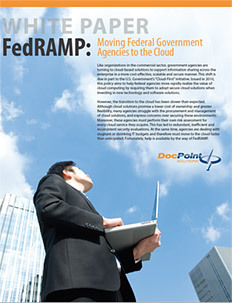 Regardless of where you stand on this SharePoint continuum, DocPoint Solutions can help. 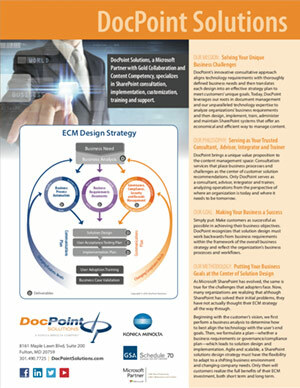 DocPoint Solutions offers expert SharePoint Consulting Services as part of a thorough, end-to-end project process. Driven by years of experience working with the SharePoint platform, we know how SharePoint’s capabilities can impact the business world. We understand, too, the affordability factor. 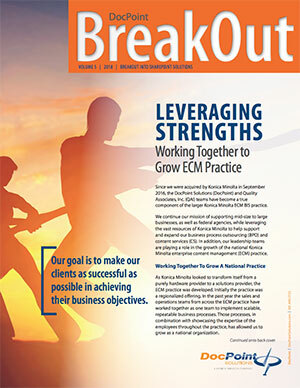 Our expertise allows us to make complex additions by leveraging SharePoint’s “out-of-the-box” features. Most of all, experience has taught us that the technology must take a second place to your business needs. Thus, our SharePoint consulting efforts begin with a thorough analysis of your organization and the goals and objectives it seeks to attain. By understanding what you are doing today – and where you plan to be tomorrow – we can customize the technology to your specific business needs and processes. 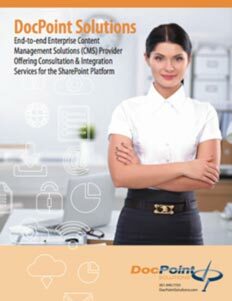 We call it “the DocPoint difference,” and our consulting philosophy is literally transforming the SharePoint marketplace. When technology solutions derive from business requirements — rather than technology driving how you do business – satisfied customers result. Call us today and let our expert SharePoint consultants recommend solutions to fit your business needs.